The summer '97 Europe tour is split between fun, workmanlike festival sets and deeper two-set affairs; this is the deepest. The first set is just fine, starting with a very fine Mike's > Simple, but it's not on par with the previous night's revelatory opener. The second frame, however, is one of the year's best, revolving slowly around a divine Stash jam that's really a fully-formed spontaneous composition (complete with rare bass solo). The attentive silence of the crowd is as affecting as the band's own focus and patience; you know immediately that this is a small club crowd and not Phish's raucous stateside audience. The band takes full advantage of the opportunity, varying the intensity at a conspiratorial volume. 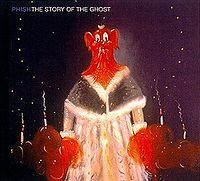 There are grander performances of Velvet Sea but none more delicate, wilder Llamas but none more villainous; no take on Free has attained the first encore's stripped-down menace, and few of Phish's transitional improvisations are as gracefully extended as the eight minutes leading up to Mike's solo statement 24:00 into Stash. The 'Wormtown Jam' is a menacing trip too. The band's ambient work took another year to fully form and the funk tunes lack the clockwork polyrhythms of the late-July shows, but this outing does offer a pure strain of some rare thing. After coming back to our campsite at 7AM at the Allgood festival in 2004, still absolutely ripfaced (on the back of the worm, you may say) my buddy puts on this show and crawls into his tent. I can't sleep for the life of me, so I'm sitting in my chair, absolutely faced, smoking a cigarette, watching the sun come up and listening to the Stash from this show. At about 18 minutes in and continuing till the end, I discovered that this jam is, in fact, the meaning of life, and quite possibly the most amazing and deeply beautiful thing ever played by any band, ever. I was absolutely dumbfounded by the sheer magnitude of it all, and I'm hardly a brah who finds spiritual connections like that. I'll never be able to recapture THAT lightning in a bottle moment (and I had heard this show many times before without that revelation), but it's heartening to know that to this day when I listen to that Stash, it can still pick me up and sweep me off to a far away place where everything is beautiful and makes perfect sense. Yep, on the back of the worm indeed. Best Stash ever for my money and maybe the best single jam Phish ever did. The rest of the show is no joke either, and it's companion piece the night before may even be stronger as a complete show. It's not often when Phish's hyped up shows not only meet, but exceed, expectations but these two nights in Amsterdam are everything you could ever hope for. The second night started out kind of slow (note sarcasm).The opening notes of "Mike's Song" are about the last thing you'd expect to begin a show -  but I guess we were blessed by our religious surroundings and the vibe of the amazing town that was hosting us. We knew for sure that we were in store for another night of who knows what! Showing all the outward signs of a man possessed, Trey was ripping the laser sounds (serious chorus processing) and the "Mike's" jam followed suit in a very futuristic fashion -  while still staying relatively grounded in terms of the groove and the melody of the jam. Ten minutes in, they launched directly into "Simple", with the vocal harmonies bouncing around the old church in splendid fashion. The "Simple" jam wound down to Trey and Fishman jamming together subtly -  with emphatic eye contact between the two as Trey danced close to Fish's set, facing the newly buzzed drummer. Fish was again wearing his all-black Ringo suit (black shirt and tie included), but somehow he still managed to lay down the kind of hard-hitting beats we all know and love. The fade-out of the "Simple" jam led nicely into the fade-in of "Maze". This "Maze" was particularly nice because it found Page switching frequently between all of his keyboards -  synths, Moogs, electric pianos included. It seems that the focus of "Maze" is usually just organ, then piano -  not that there's anything wrong with that. In this version, it was cool to hear the bendy notes that he pulls out of the Moog as well some of the other Casio synth noises he taps out of those little tiny synths he now has. Perhaps as a nod to Page's contribution to a stellar and unique "Maze", they then broke into Page's singing song "Strange Design" -  of course nothing unusual here. I found it to be a good time to head up near the front of the stage -  an easy thing to do in such a small place. "Ginseng Sullivan" was next with some nice, liquid leads from Trey. "Vultures" is truly a great new song, and it was a nice way to slide back into the experimental phase from earlier in the set. "Vultures" is absolutely unlike any other Phish song to date. It is very Zappa-esque in terms of the sonic feel and has a very open-ended jam segment that features some truly off-beat work from Mike and Fishman. On top of the awe-inspiring music, the lyrics are killer, and they come at you rapid-fire style -  like rounds from an AK47. In addition, the layered vocal effect of this song is also reminiscent of the approach taken by the Talking Heads -  the influence of Phish's Halloween `96 show is apparently emerging. Fully expecting a segue into "Weekapaug" from the killer "Vultures" groove, they instead wound the jam down and next stepped up to play the country shuffle "Water in the Sky". It's kind of a catchy ditty that has a nice varying chorus with pleasing harmonies, a similar feel to the slow version of "Poor Heart" of Fall `95. Finally, they ended the set with a standalone "Weekapaug", with full-on jamming from everyone. Page was stretching all over the place, hammering down different keys (synth and organ, piano, and electric piano, etc.) and Fishman was in a world of his own, bringing out nuances in the beat that I didn't think were possible. On top of it all, Trey and Mike seemed to be feeding off each other, both melodically and spiritually. Mike has rarely looked as intense as he did during the peaking moments of this jam. As "Weekapaug" ended, it was evident that it was a perfect conclusion to a cohesive set of both intense jams and nice-sounding songs. Set II held much promise as we waited at the set break. They played the entire Crooked Rain album by Pavement at the break (the night before was Primus). It was a long set break indeed (not sure if that's why Set II was exactly fifty minutes long"...). The second set was short, but it contained no fluff at all -  just pure experimentation and exploration. They commenced the set with three minutes of space noises -  it seemed that they were considering "2001" before finally dropping into "Stash". The "Stash" jam covered all of the bases. It was a little longer than thirty minutes, ranging from harsh grooves to delicate on-the-spot melodies to raging improvisation. "Stash" did not resolve and conclude; instead the band faded from an intense space segment directly into the opening blasts of "Llama". Page again seemed content experimenting with his Moogs -  while we normally can expect a heavy dose of organ from a "Llama" jam, this version found Page standing up, tickling the futuristic noises out of his synthesizers. "Llama", too, was not completed. As the jam really began to rage, they dropped into another sea of space noises. As the space sounds built up, Trey put both his palms down and signaled to "push it down. " Page gently continued on piano the chord progression to "Llama", but eventually he gave way to the waves of sound that Mike and Trey were working on. Full-on space ensued. As the hollowness of the space rung out, Page began playing a familiar little R&B line on the organ, almost sounding like the intro notes to "Cars Trucks and Buses" but to a different groove, in single notes. I did, in fact, think that they were doing an ultra-spacey segue into "CTB". Instead, Trey and Mike followed along on the single-notes that Page was playing, and the groove continued along in a somewhat tweaked manner. Trey then stepped up and sang, tweaked-sounding as well, "Come on and dance"...come on and dance"...make some romance"...because the night is coming and the music's humming and you've got to get down to"...WORM TOWN! " We realized it was a play on the Steve Miller tune "Swingtown" and apparently they were continuing the worm theme from the night before. Trey promptly launched into a story about getting sucked into Amsterdam's canals and having to ride along with the giant worms there. With that, they sunk into a nice rollicking space-worm groove (I don't know any other way to describe it). Eventually they included the ubiquitous new catch phrase, "I think you know where you are"...you're on the back of the worm! " with call-and-response vocals between Fish ("I think you know where you are") and Trey ("You're on the back of the worm!"). From there, they again sunk into volume-swell space and Fishman repeated his line over and over ("I think you know where you are") in a variety of goofy-sounding voices, as we in the audience contemplated whether in fact we did. The space rung out again and this time led into the slow, yearning piano intro to "Waiting in the Velvet Sea". Sure this song is a bit repetitive and slow, but it has some really nice counter-melody singing from Page. It was certainly, however, a disappointment that they ended the set on this song. As I said, the set clocked in at only fifty minutes. I was sure that the encore would be fat"...but why not at least make Set II over an hour? So the encores were phat. In fact, the "Free" is one of the best I've heard in awhile, with some nice, slow funk emphasis from Mike complemented by unusual squelches and squawks from Trey. (Or was that Page?) A bit over ten minutes later they left the stage. The vibe in the air was that there just had to be another encore. Fortunately, we were obliged, and with "David Bowie" no less! The "Bowie" here was killer. Mike made an early reference to the Maze bass line (I know we've all been thrown a few times by the hi-hat intro similarity between "Maze" and "Bowie") and he got a burst of laughter from the crowd. Intimate venues are nice. The jam in "Bowie" was great, but hard to describe in the way that "Bowie" jams seem to be. Suffice it to say that it felt like an appropriately experimental way to end the two-night run. Also appropriate was Chris Kuroda's lighting of the stained glass (lit from the outside in) during the concluding sequence of "Bowie". I'm sure the temptation was there to light up the stained glass all the time, but he did it sparingly over the two nights. Only "Reba" during the first night and "Free" and "Bowie" second night. The effect was that much greater. Less is more. Thank you Phish, for a wonderful time in a wonderful venue in a wonderful town. Set 1 kicks off with a typical churning late-90s Mike's, where they slowed things down and replaced raw energy with tightly harnessed power. Trey does indeed play some more soulful notes than usual, as noted in the chart entry. They then burst into Simple, a fine version that only gets really interesting with some spaciness at the end, and then segue into Maze, which starts as a Page showcase before bursting into ferocious Llama-like rocking (foreshadowing?) and exploding into a typical Maze-esque fireball. The rest of the set is fine, but don't miss out on that opening trio of songs. Set 2 opens with one of the greatest of Stashes; I like it better than the 11/14/95 version, honestly. 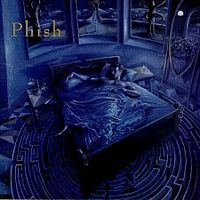 Yes, the first half of the version is mainly the usual dark Stash jam with the occasional nod to major key, but the second half kicks off with some sharp rocking (I'm trying to puzzle through what it sounds like), morphs into a beautiful melodic space with Fish tapping away on his trusty woodblock, then goes uplifting and Simple-like as Trey moves back into the lead, and then beautifully dies away as Mike gets a bass solo (!) before they start building up a wall of sound and Trey kicks into Llama (!!). A second-set Llama outside 1992 is enough to celebrate by its lonesome, but this Llama (taken at a slower tempo, so much so that Trey almost trips on the lyrics because he doesn't have to spit them out) dissolves into a fog of noise, which leads into the infamous Wormtown Jam, a number as weird as all the other reviews will tell you it is, and then Velvet Sea comes in to end a very short, but exceptional set of music. A strong, pulsating Free and Bowie (in a second encore spot!) close the night out. Final thoughts: the first show is more adventurous and has a better first set, which is why I like it more, but this show has the better second set and jam in that astounding Stash. Give both of them a listen, as they represent the fullest flowering of the alternate-universe Phish I talked about in the 6/20/97 review. Maybe the two finest back-to-back shows they ever played. I commented on the amazing Mike's > Simple -> Maze in my short review from some time ago, but I will say that this first set is perfectly balanced. Strange Design is nicely placed after the raging start, and with Ginseng up next I can deal with two quickies after 36 minutes of bliss to start the show. I really like this Vultures, and I'm so very glad that the Mike's -------> Groove is finished to close the set. This second set is crazy. This Stash ends up in a very beautiful place before landing in Llama. This is *must hear* stuff folks. In fact, I can't bring myself to only listen to part of the set -- once I start that Stash, I listen through Velvet Sea every time. And after a worm-filled first night in Paradise, you didn't think they'd let it go so easily did you? They take us for one more ride on the back of the worm, this time with the backdrop of a twisted Steve Miller "cover" if you can call it that. And as a thank you, they give everyone a rare double encore to close, though the Bowie is far from perfect. I actually like the first night better, though the Stash is the best thing from either night. On a 10 point scale, I give 7/1 a 10 and 7/2 a 9. But it looks like that's just me... and who knows how I'll feel the next time I listen to this wonderful pair. I should add that there are remastered AUDs out there that are of as high quality as any SBD I can imagine. Though I tend to prefer SBDs, the AUDs are a better recreation of the room, and when the music is captured well in the recordings, they're great (of course matrices might be my favorite). Please seek them out. 7/2 begins strongly with Mike's Song, Simple, and Maze being played without a break in between. The first set also featured my favorite bluegrass cover, Ginseng Sullivan, and the fourth Vultures ever played. The second set is short, but it contains an incredible jam in Stash, which leads to a great Llama, and then Trey talks about the huge worms that live in the canals of Amsterdam. The short second set is made up for with good versions of Free and David Bowie in the encore. The Free is very funky. This review references the Amsterdam archival release. Nederlander phans who'd seen the previous night's show probably knew to expect something similarly astounding on this night, and as they usually do, Phish delivered in spades. Mike's opens, and to me is a pretty standard, average-great version, though it would probably be lauded more highly if played this year (2016.) 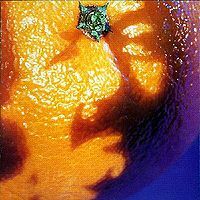 Simple follows the closing crescendo of Mike's, and displays Trey leaning back from the leadership role, at least musically, which would become very important from this time forward and arguably began closer to Fall '95. A tight Maze follows after a segue from Simple including a key change. Maze doesn't go Type II (has it ever) but it doesn't really have to, particularly in this show. I love Strange Design, and until recently believed that Page wrote it (a more knowledgeable phan politely corrected me.) I've got to wonder how Ginseng Sullivan went over in Amsterdam, but it sounds like the crowd enjoys it. 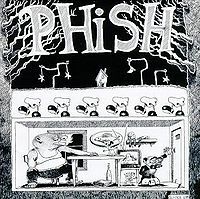 Vultures is new at this point in Phishtory, and is recited admirably, with some enthusiastic drumming by our little Tubbs. The non-arpeggiated version of Water in the Sky is next. I'm glad we got to hear it this slow, countryesque way again here in 3.0. Finally, the first set closes with Weekapaug, which features ripping leads by Trey before morphing into a full-band funkfest. I've rated this show 5 stars, because of all the noteworthy jams but also for the sheer exuberance on display, particularly in the Wormier segments of the show. Must-listen quality Phish. This is a sick show. The Free would have left me as a molten puddle on the floor. My jaw has dropped, and that's only by listening on cheesy computer speakers. In person? They don't make 'em like this any more. Wow. The Mike's -> Simple -> Maze is a must-hear. Absolute fluidity in the whole trio and Maze ends with a burst of energy. The second set's starting trio is brilliant as well, with a deep, dark Stash followed by a smoking Llama and warped Steve Miller cover keeping up with the worm theme from the mushroom trip Trey had the previous night. The AUD available for this show does the show justice-- get 7/1 while you're at it and listen to them back-to-back. Mike's - Good standard version. Cool abrupt > to Simple. Simple - Good standard version. Spacey outro jam with a good -> to Maze. Strange Design, Ginseng, Vultures, Water in the Sky - Well played, standard. Not much else to say. Weekapaug - Great version! Even the intro is fire with Trey's chords and Fish's fills. Later on gets FUNKY and the whole band is really locked in. Stash - Cool spacy intro, sounds like something that would come before a 2001 or DWD. Standard tension filled Stash until around 14-15 minutes when a rocking groove develops. Switches to a major key around 20 minutes and Trey finds a BEAUTIFUL lick. 10 minutes of great melodic jamming includes a bass solo then goes spacey with a -> to Llama. Llama - Very strong funk-filled version. Great Trey and Page solos. -> to Wormtown Jam. Wormtown Jam - Creepy jam, lyrics sung to the tune of "Swingtown." Trey tells a story about getting sucked into the canals of Amsterdam and riding on the back of the worm. -> to Velvet Sea. Velvet Sea - Well played, standard version. Free - Cool funky stop-and-start jam! Liquid Mike. Bowie - Standard version. Cool Page/Fish and Trey/Mike teaming before the closing section. Awesome set 1. Great flow with some small jams. The Weekapaug is a top version for me. Amazing set 2 with MONSTER Stash (my favorite Phish jam ever), shredding Llama, funny Wormtown banter and Velvet Sea to close. Double encore with great Free and Bowie jams! I consider this the best Phish show ever played. Simple - Good standard version. Gets spacey toward the end with a good -> to Maze. 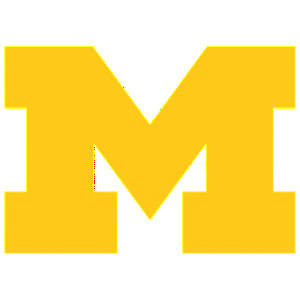 Maze - Strong standard version. This show is well reviewed - and I doubt I can add much more value than @waxbanks - but I must finish the box set. Like the night before, this show is an all-time great and the box set is simply one of the best they've released. Simple is also nice, while not overly spectacular. It does contain the requisite outro jam that is patient and to my ears, seen through to a good conclusion. >Maze cranks up the heat. This is incendiary. Great great version! What an opening triumvirate. Strange Design is a beautiful way to cool us off and Ginseng Sullivan is a nice bit of fun. Vultures is always welcome, and keeps this set flowing well. Water in the Sky is a bit of filler. Weekapaug is fantastic. This closes the set with a fine funky workout. Definitely a great version. That was a good set. I don't think it touches the first set the night before (Ghost, Reba, Limb), but it's definitely nipping at the heels. Tons of fun and some pretty serious jamming. Set II is an all timer and the opening Stash contains perhaps the single greatest passage of spontaneously composed music the band has ever played. Stash begins with a typical exploration for a solid 15 minutes. It should be mentioned the intro begins in effects world which is cool. Eventually they shift up to the major/melodic space and Trey finds a melody with the band forming around and takes us on a patient and tender journey to heaven. It's simply the best. There's also a cool bass led section after that majestic segment. This is a long jam at around 30 minutes so go grab it and give it your full attention. The dynamics, the melodies, everything are just totally original and special. ->Llama, great segue and a fantastic version. Another standout. ->Wormtown which takes us on a trip. This is out there and awesome. -> Velvet Sea ends the set in perfect fashion. This is one you don't always look for, but here is sublime. Encore 1: Free - a fantastic version, well worth a listen on it's own! Encore 2: Bowie - bonus Bowie - yes please! Nothing too out of the ordinary, but certainly amazing bonus Phish. Overall: 5/5 legendary status. The best Stash ever for me. 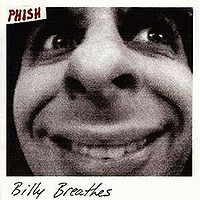 In fact maybe my favorite piece of Phish. (so many good ones hard to say). I chose to listen to this while working on my front yard: scrubbing flagstone. Comcast has been thwarting my recent attempts at listening to full shows without dropping me at my home for the last week or so. Can make a man stand up and want to pee on Comcast. But the show...delicious! Comcast allowed me the second set in its entirity. Stash. Holy crap. Lovely and wild. Llama's totrure. Velvet Sea as others have discussed is sweet and righteously played after the onslaught of the first two songs (three according to PHISH.NET). The venue feels intimate. Small. close. I missed these shows. Europe was not in my opportunity at that time and I will forever be grateful to Phish OD and now Live Phish for presenting these in their beauty. Grand show from a grand era. I loved the write up above. I find great joy in gleaning some background and historic build up with reminders of tape sharing. That was a time of pure joy: getting a new Grade A tape to make s copy of. I remember a buddy of mine dropped the whole Europe trip in my lap one lovely afternoon. That took up the rest of my summer. Personally, I think the first night is the better of these two shows. But I certainly wouldn't give this night anything less than 5 stars! The first set of this show is solid 97 playing, but nothing I would call particularly out of the ordinary for the era. That said, "ordinary" for this era is unbelievable and this set is just superb. The second set and encores though... oh boy. The whole thing is just plain nasty. The Llama is nasty, the wormtown jam is nasty, and the Free is breathtakingly funky/nasty. Even the pretty jam in the last ten minutes of Stash is nasty. Hear at all costs please. if I had to pick out some highlights though... very solid selection of songs in Mike's Groove, Weekapaug is awesome and gets real funky at the end, nice Type 2 jamming throughout Stash, which gets spacy right into a steady Llama, then THE WORM JAM (enough said), some cool back and forth stuff going btwn Trey and Mike during Free, then maybe one of my favorite Bowie's. seriously, top ten David Bowie for me. its spacy, very dark, and towards the end just plain scary. Trey leads the band as they build up the tension with some usual Bowie jamming. things get scary around the 10min mark as the tension builds even further, Page and Fish providing some chaotic backdrop for Trey here. it seems as though they're winding down as things get a bit more quiet and gentle (the calm before the store, seen many times in Bowie). then Fish and Page lay down this stomping beat, before the band delves into the chaos. AND THEN... Trey emerges from the black and scorches the Paradiso. the usual, ending Bowie lick is sprinkled with spacy chaotic sounds, and they end the 2nd night at the Paradiso in fine form. IMHO, the first night was better, because I personally like the darker and spacier jams (Ghost, Saw It Again, Gin). but night 2 was unbelievable as well. these two shows were definitely the apex of this Summer Euro tour. CHECK EM OUT. NOW.